For a fifth year running, we are excited to announce the rOpenSci unconference, our annual event loosely modeled on Foo Camp. rOpenSci unconferences have a rich history. You can get a feel for them by reading collected stories about people and projects from unconf17. 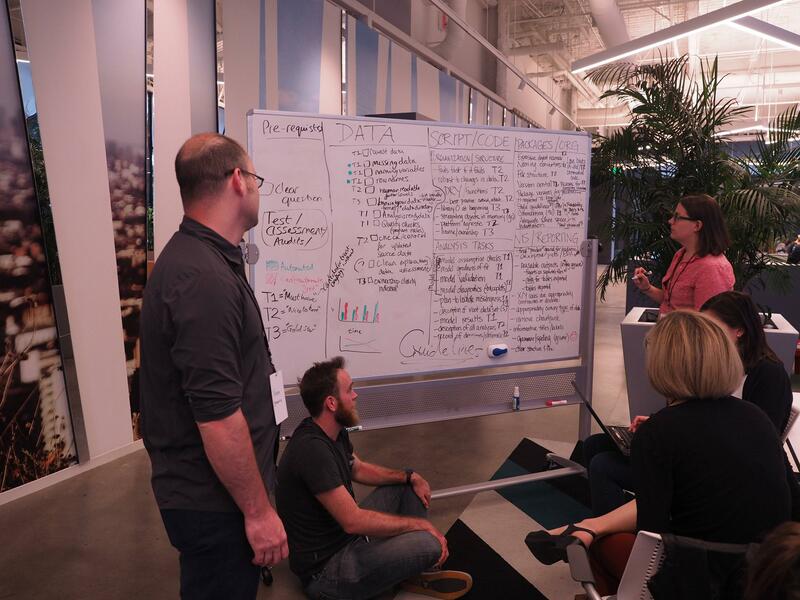 We’re organizing unconf18 to bring together scientists, developers, and open data enthusiasts from academia, industry, government, and non-profits to get together for a couple of days to hack on various projects and generally enrich our community. The agenda is mostly decided during the unconference itself. Past projects have related to open data, data visualization, data publication and open science using R. This event is unlike many other unconferences in that it is primarily invite-only, with a few spots set aside for self-nominations from the community at large. That’s you! rOpenSci is committed to providing a welcoming community for all participants. One of our priorities is to increase and retain the diversity of contributors to open research by helping people “see what they can be”. Therefore, we strongly encourage applications from women and other underrepresented genders, people of color, people who are LGBTQ, people with disabilities or any other underrepresented minorities in research. To ensure a safe, enjoyable, and friendly experience for everyone who participates, we follow a code of conduct.